MH sterling silver natural stone pure series _ guardian hound _ lapis lazuli 6-6.5mm lapis lazuli + sterling silver accessories Please note that lapis lazuli is a natural stone sarcophagus with white streaks and other stone patterns. 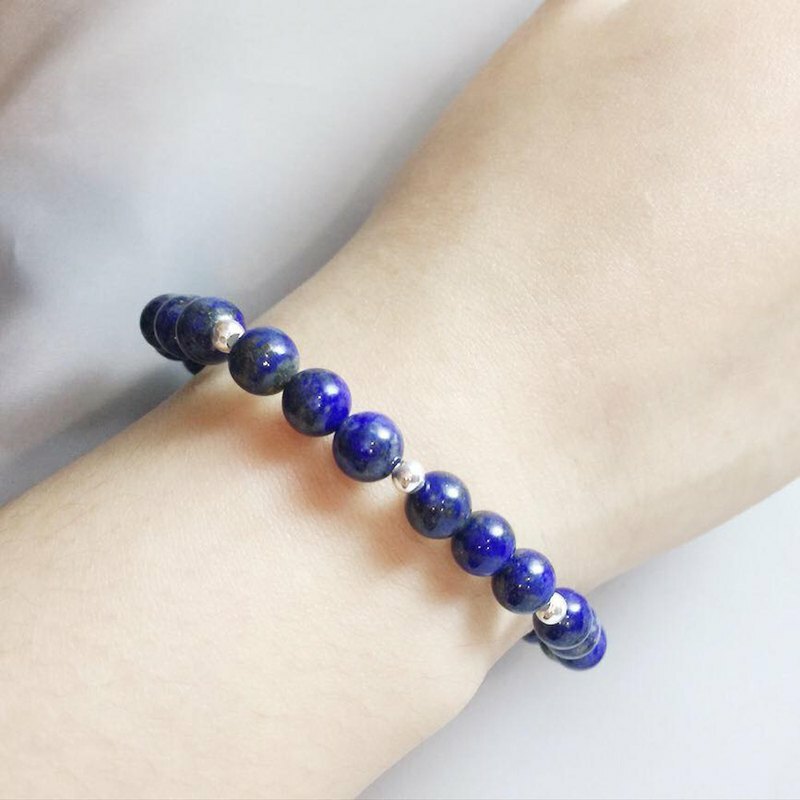 Simple design Mellow feeling Loyal natural stone The length option refers to the full length of the bracelet. Please choose the tightness you want to wear. Tips: Usually the hand circumference +1.2 is just the length to wear, but according to the choice of natural stone shape (such as larger size), it takes about +1.5 to be just right.